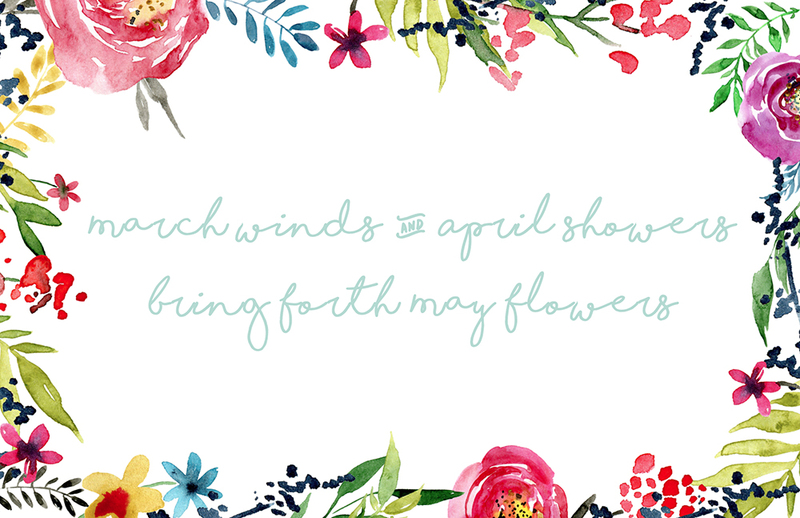 but as the nursery rhyme above teaches us, we will be rewarded by beautiful flowers next month. 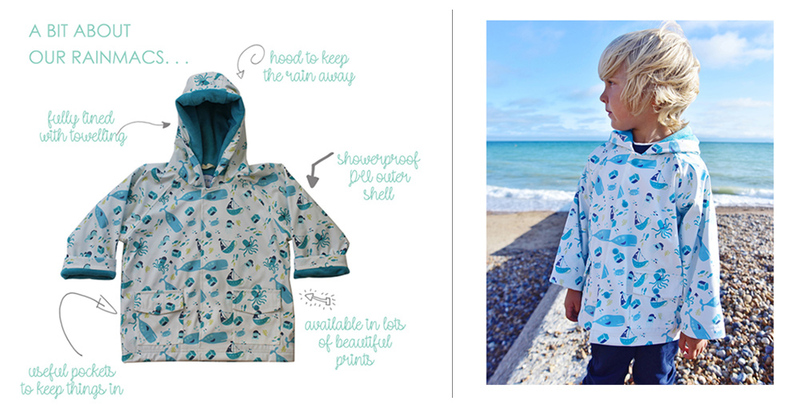 Our range of hooded raincoats are perfect for all year round. Made from showerproof PU and fully lined in cosy towelling they prove the adage that there’s no such thing as bad weather, only unsuitable clothing! 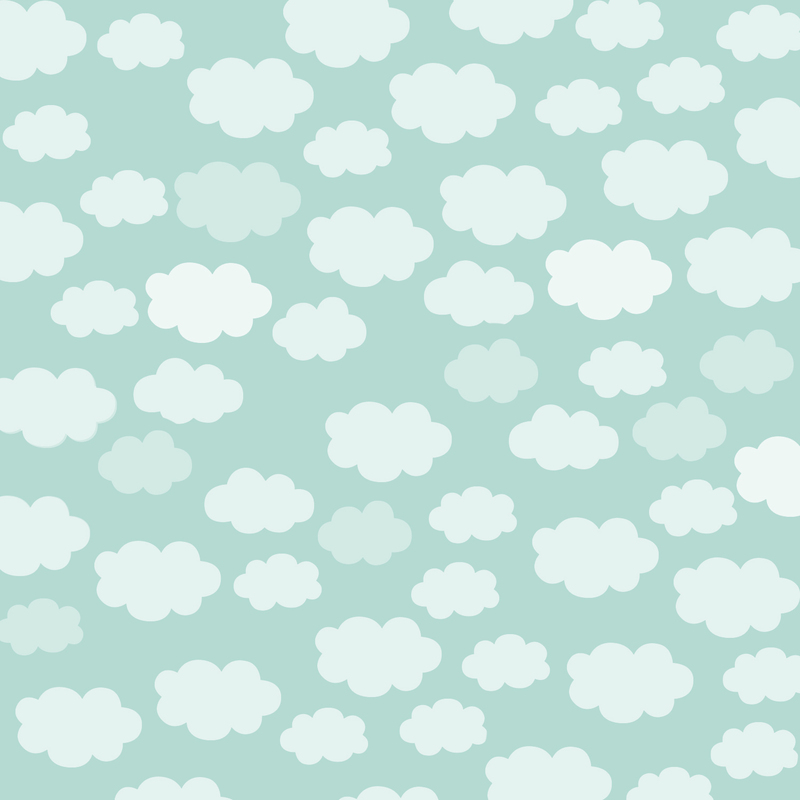 magical unicorn, vintage mermaid, deep sea and dinosaur designs as well as florals, tractors and robots – something for everyone. 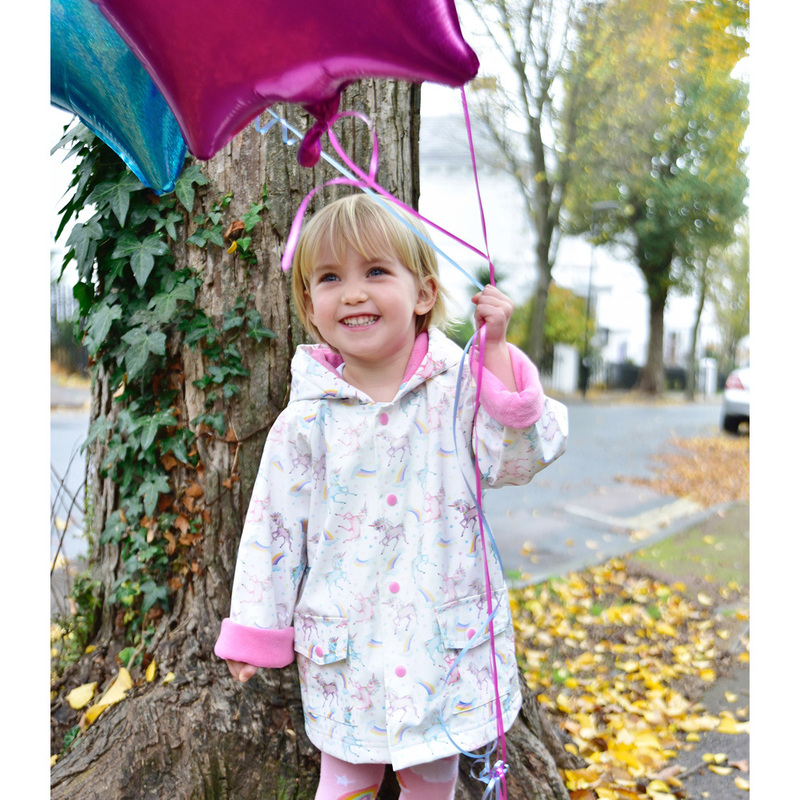 The coats are available in ages 1-2, 2-3, 4-5 and 6-7 years and the unicorn and tractor designs come in 8-9 as well. 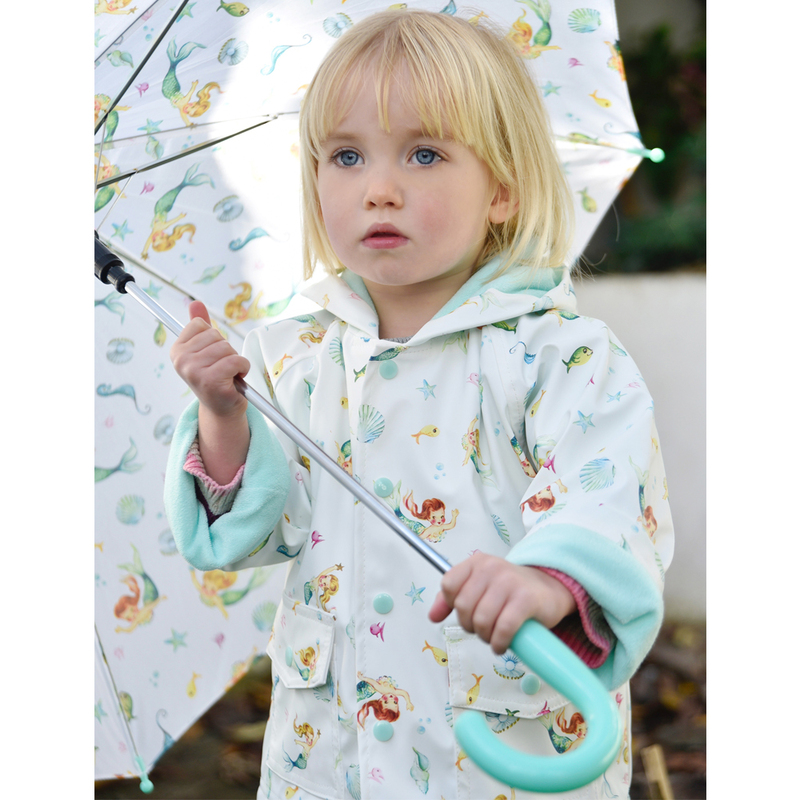 There are child-sized umbrellas to match all the raincoat prints to complete the look – nothing cuter than a little one holding an umbrella while splashing through a puddle. Best news of all is that the raincoats are machine washable for the next muddy adventure.